Located at the intersection of East Benton Street and South River Street, and adjacent to the Fox River, 80 South River Street is ideally positioned to address the growing demand for rental properties in the area. The development, slated to become the newest destination for entertainment, dining, and urban living, will feature a mix of studio, one bedroom, and two-bedroom luxury apartments, complete with an underground parking garage. 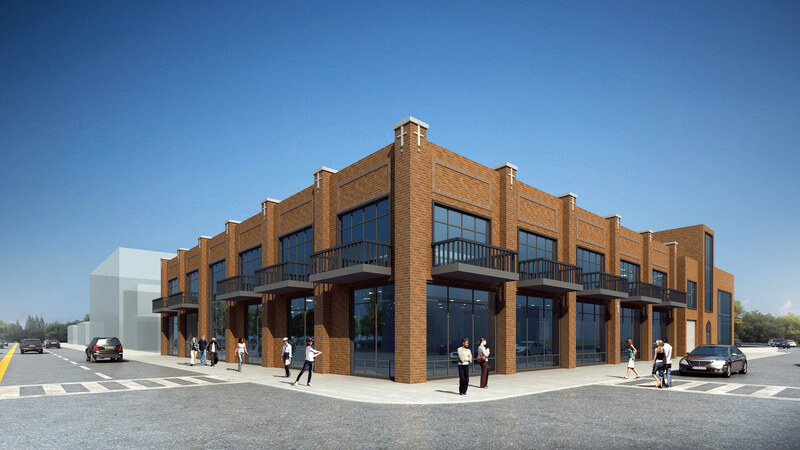 The location will provide attractive housing options for the 15,000 students of Waubonsee Community College, Aurora University, and the 24,000 employees of enterprises located in downtown Aurora. 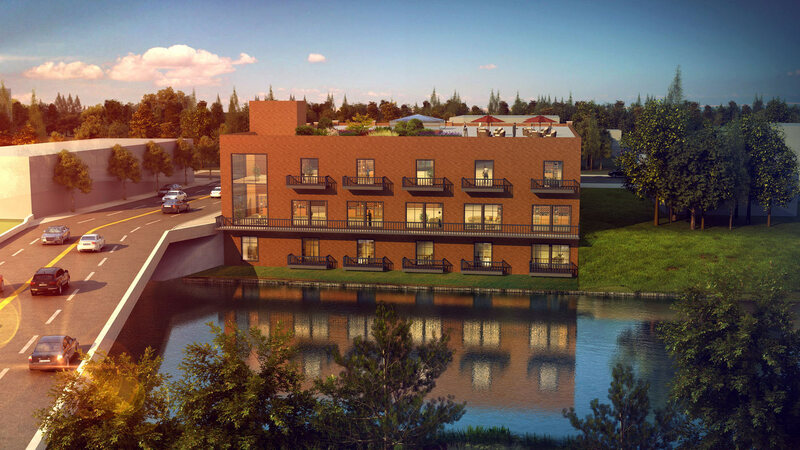 Residents will enjoy views of the Fox River while taking advantage of attractions such as the Paramount Theatre and Sci-Tech Museum, as well as the new Santori Library and River Edge Park - all within walking distance. Commuters to downtown Chicago will enjoy living in a location just three miles from I-88 and less than one mile from the Aurora Metra Station. The commercial development capitalizes on the riverfront location and creates a unique environment of recreation and culture, making the residential units even more attractive to potential renters, while serving as a catalyst for future commercial development in the area. 80 South River Street is designed to become an amenity-rich living accommodation aimed to attract young professionals looking for a renovated space with options Aurora. We anticipate one of the biggest selling points for prospective residents to be a rooftop garden overlooking the river. The garden will feature both stair and elevator access, making it fully ADA compliant with seating, plantings, and an entertainment space. Residents will also have the opportunity to have their own gardening plot to grow vegetables or flowers. Equipped with balconies, the living quarters will offer additional outdoor space other than the rooftop garden.